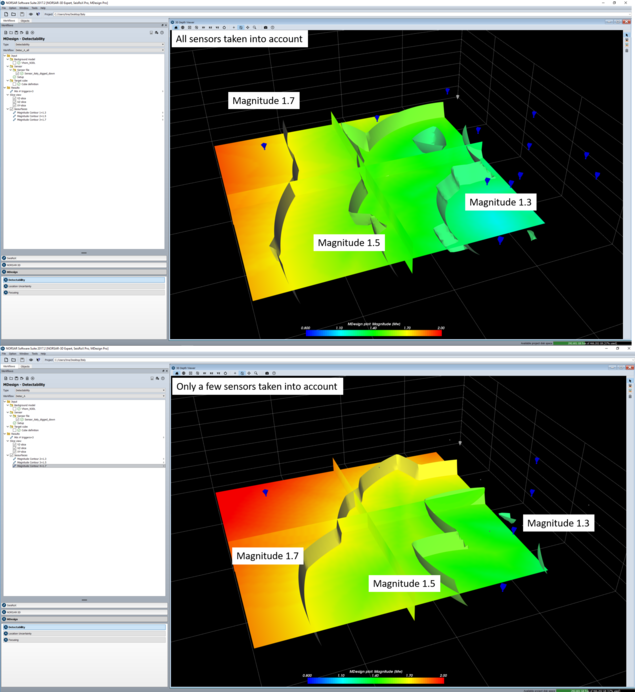 NORSAR Software Suite 2017.2 features a NORSAR-3D version with many fixes and improvements and upgraded SeisRoX and MDesign versions which are available for both Windows and Linux. 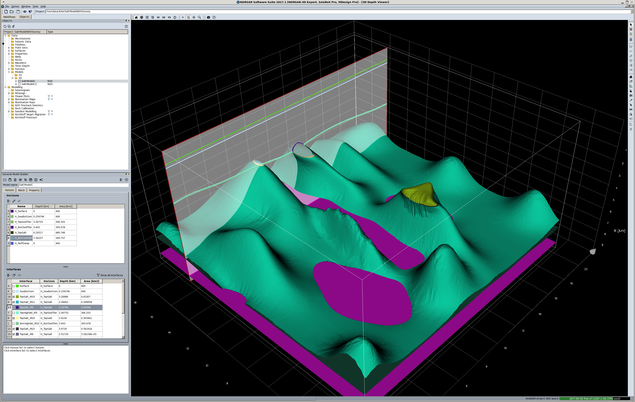 Picture shows a Local PSDM simulation result from a time lapse reservoir simulation together with one of the horizons in the reservoir model. 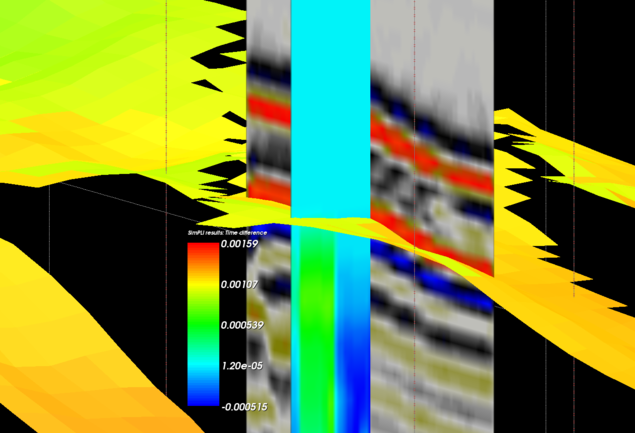 The blue-to-red color scale is the calculated two-way-time difference [s] between two time steps of the reservoir simulation. The two-way-time difference is caused by changes in the elastic properties of the reservoir during production.